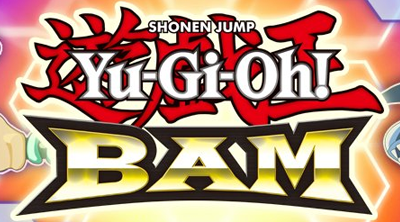 Here are some tips, tricks, game help and information for the game Yu-Gi-Oh! BAM - Konami Digital Entertainment's online browser based social game. The game offers a very good in-game tutorial at the start of the game. 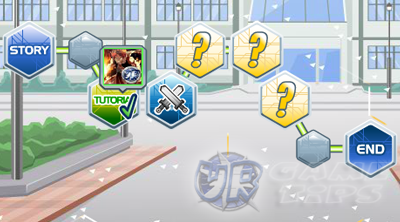 Follow Yugi's tutorial to guide you through the game's basic features like navigating around the maps, nodes and duels. - Energy is required for various actions like entering Nodes. - Click on the nodes to play through the map and clear a path to the end of the chapter. - Used for shuffling your hand cards into your deck to draw 3 cards during duel. - Leveling up refills your energy bar. - For buying exclusive or premium monster and spell cards, power-ups and other items. - Earned by completing Chapters and objectives. - You can buy a "Special Spells" pack at the Shop (Deals Section)! - "Special Spells" pack includes Robbin' Goblin, Just Desserts and the powerful Mirror Force. - I recommend to conserve your DPs for Spell cards so you can use them to any decks. - Some items in the shop can only be bought with these. - Earned by winning duels against friends, quests, gifts from friends and more. - Mostly used to buy monster and spell cards. - Similar to Character Level or Experience Level. - Complete objective quests to level up. - Earned from duels, treasures nodes, duel stars and more. - Use DPs, Card Pieces and Coins to purchase cards at the Shop. - Through crafting existing cards. NEW! 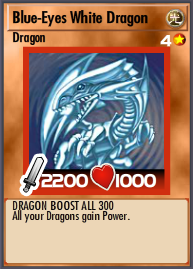 - For monster cards, The Sword Icon represents the monster's attack power. 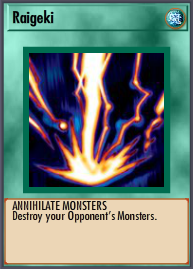 of your opponent's or your Life points. If evenly matched, both are destroyed. page to determine your total Life Points. - You can use spells to boost your mosnters or weaken your opponents. - Equip them to the available slots during battle before hitting BAM. Use them wisely! - Power-Ups are consumable items, once used, they are gone. - Earned from duels, quests, gifts from friends, treasures nodes and more. - You can buy some at the store but it's better not to. Earn your DP/CP for powerful cards! game screen. Click to view more information. - Complete quests to gain awesome rewards! - "Help From My Friend" Objective: Use a friend to help you in battle. - Duel all your friends once a day to gain more Card Pieces! - Win or lose, you will still get rewards. Invite more friends to duel! How to Send Gifts To My Yu-Gi-Oh! Friends Only? - Click the "Send Gifts" button at the upper left corner of your game screen and select a gift. - Look for the "All Friends" option and click it to bring out the drop down menu. - Select "Yu-Gi-Oh! BAM Players" option then click all your friends in the box. Click Send. - When building decks, always keep the balance: Only add a maximum of 5 or 6 Spell cards! - For more info on How to Create Decks, refer to the link below. - Building a deck should also have a decent Life Points. Target more than 7000 Life points. nodes. The problem is, it will give you a hard time passing those nodes if you can't defeat your high leveled friend! - It would be better or easier if you have more friends whose level is lower than you though. - Sometimes, friends will still use the story mode decks, regardless of their level. Place your cards on the slots. Drag-and-drop monsters on the field, the hit BAM! your Spells will take effect. The sequence always starts from the left-hand Channel. - To learn more about the duel interface and how to duel, refer to the link below. empty nodes or travel nodes that connect paths. Your goal is to find ambushes! - Once you find an ambush, defeat that duelist then move around that node again. - If you get defeated, just click on the "Try Again" option. - Leveling up refills your energy. You get 100 Energy free refill every time you level up! - Out of Energy? No Problem! Check out the Shop for more! - The easiest way to get gifts from friends is to send them gifts first. - Check your objectives at the bottom of your game screen. - Progress through the Story Map by completing the Duels in front of you. - You can toggle between a powerful, defensive and balanced deck before your duel. - You can only sell cards that are not used in a custom deck. - You can only use three copies of the same card in each deck. - Did you know that some cards can only be acquired through crafting? - Not happy with your hand? Hit the Shuffle button on the right. - Hitting BAM locks down all monsters and spells on the field. - Speed up your Duel by clicking on the 1x, 2x, 4x speed button beside your Hand! - If you Surrender a duel, you still lose Energy.